Why Switch to Hosted VoIP If Our Current Phones Work Fine? When the Stockton-Darling railroad opened in 1825, people believed that going too fast could melt your body. When the telephone was launched in Stockholm in 1877, members of the public also believed the newfangled phone could act as a channel for evil spirits. The point is, there are two types of people in the world; early adopters and latecomers. In business, the most successful organizations are generally early adopters of new technologies. In fact, research indicates that businesses that are early adopters are more likely to experience better business outcomes, including increased revenue growth and superior market positioning. But There's Nothing Wrong with My Phone System! Why Hosted VoIP? Your phone system might work just fine. However, your competitors are moving towards feature-rich, voice-over-IP (VoIP) communications technology. This allows them to save 30% on the cost of conferencing features, and up to 3.5 days of productivity each year for every worker taking advantage of VoIP mobility to work remotely. IT pros might fear the cost or workload increase of any new tech initiative. Executives may be concerned that the investment won't lead to the cost savings or productivity gains promised. Fortunately, there's loads of data to prove most of these fears as unfounded. VoIP can drive higher productivity, happier customers, and fast realization of cost savings. 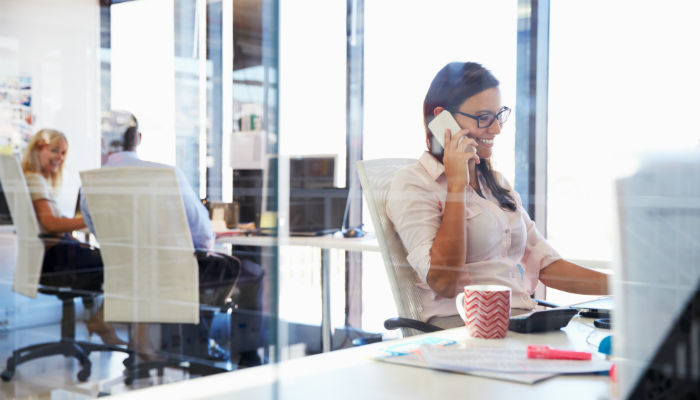 Here are seven reasons to switch to hosted VoIP. Hosted VoIP is less expensive. It costs your business less money when the public telephone system goes down, and you're still able to communicate with customers. It requires less effort by your accounting team each month, since your bill is based on a flat rate per user line. However, the real savings are realized in lower costs per phone line, long distance, and similar recurring costs. The specific amount you can expect to save depends on your business and your telephony needs. However, savings of approximately 20-40% could be within the realm of possibility. But wait, don't you have to pay to get VoIP in the first place? How long does it take to "earn back" the investment in the softphones your company needs to run IP-based phone service? The answer is much less time than you probably think. Using the numbers above, which are highly generalized estimates, it would take your organization slightly less than 15 months to earn back the initial cost of investment in hosted VoIP service. However, your savings will most likely be realized much more quickly, especially if your organization is rapidly scaling or uses international calling. The right VoIP vendor won't offer one-size-fits-all packages to their clients. They recognize that organizations need different VoIP add-on features to support their contact center, a high number of remote employees, frequent conference calling, or other variations. Hosted VoIP is a business operating expense (OpEx), which means it's a recurring, predictable monthly cost. In contrast, self-hosted VoIP or, to some extent, the greater initial investment of traditional phones systems is a capital expenditure (CapEx). Each approach has benefits and weaknesses, but OpEx may be a wiser approach to technology investment. When it comes to many business investments, like furniture, CapEx has clear advantages because an item can be tidily depreciated over time. However, OpEx is agile. It allows your business to "pull the plug," and pay by usage. This need for flexibility makes sense for many organizations, because it can be impossible to predict your organization's capacity or technology requirements two years down the road. Your voice communications system should expand and contract to fit the needs of your business. With traditional phone systems, your business needs to stretch or shrink its budget to fit your inflexible monthly service agreement. VoIP doesn't bind your organization to a single location, set number of phone lines, or a cookie-cutter way of doing anything. In today's business environment, flexibility is a massive advantage. An estimated 25% of Americans work remotely at least some of the time, and 90% hope to go remote at some point in the future. VoIP mobility allows your organization to cost-effectively support your full-time remote workers, support employees who travel frequently or work from a variety of locations, and plan for the changing office of the future. True VoIP Mobility is defined as the ability to use hosted VoIP service while moving from one location to another while using the same identity, or phone number. This can be achieved through mobile integration, allowing your employees to receive calls on their mobile number or office line. Depending on your service, your user's VoIP mobile apps may also provide access to voicemail and fax in the email inbox, as well as possible access to instant messaging, virtual meetings, and video conferencing via the web or mobile device. Remote Work: Your employees will have a much easier time getting notified and leaping into action if there's ever a situation that requires their attention when they're off-site. Not only does this allow them to work remotely, but it can also reduce stress levels. Smarter Call Routing: VoIP systems allow flexible and nuanced call routing, including the ability to route a higher number of calls to more experienced or knowledgeable members of your contact center team. This can also reduce stress levels and improve the employee experience. Less Time Reaching Colleagues: Instead of having to fire off an email, call a desk line, leave a voicemail, and then try a mobile phone, your employees can save a lot of time reaching their coworkers with VoIP. They can call a single number, leave a voicemail, and trust that the message got through. Easier Customer Interactions: VoIP data integrations can enable a 360-degree view of your clients in customer relationship management software (CRM) or another tool. This allows your employees to see your client's chat message history, business details, purchase history, and everything else they need to know to provide high-quality customer service. 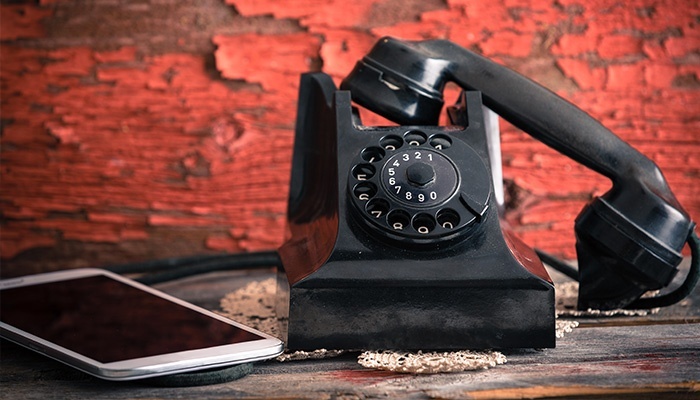 Unless your clients are in the telecommunications industry, they probably won't care what kind of phone system you're using. They will care and notice if their calls are met with a "service not available" notification or busy signal. They'll mind if their voicemail isn't returned because their account manager forgot to give them his mobile number. And yes, they will definitely notice if their call is repeatedly transferred until they speak with someone who can really help them. VoIP contributes to satisfied, loyal customers by providing a seamless experience. Their call gets to the right person immediately, thanks to interactive voice recognition and call routing. They feel "understood" with data integration that shows their history with your business. They benefit from faster response times, thanks to mobility and other features. VoIP can make great customer service easier than ever before. VoIP Really isn't a Risk. Can You Afford to Stagnate? In business technology, there are risky ventures, and there are safe bets. Unlike artificial intelligence, VoIP isn't an emerging technology that may or may not pay off. The data is clear that organizations can achieve a number of benefits from making the switch to hosted VoIP. Realizing the maximum number of benefits from your hosted VoIP requires a knowledgeable vendor, and a custom-designed approach to VoIP and add-on features that fit your needs. With expert guidance, your organization can begin realizing better communications from day one, along with more productive employees and happier customers. Atlantech Online is a leading provider of hosted VoIP and business communication tools for organizations of all sizes. For a no-pressure conversation with one of our expert service advisors, click here to contact us. 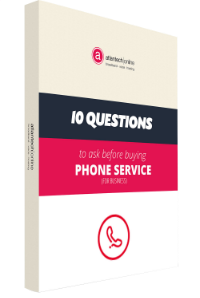 Get all the information you need to make the smartest decision for your business' phone requirements.